As a teacher, an integral part of your job involves relaying facts and information to students. However, it is also important to go beyond just the basics of that information. As an educator, the goal is to inspire students to fall in love with learning and become lifelong learners. This is where ProSolutions Training’s CDA courses can offer additional support. One of the CDA courses, “The Basics of Appropriate Learning Environments”, covers the basics of creating a learning environment. Though easy to understand for a beginner in the field of early childhood education, this course also works for advanced teachers who are renewing their CDA. In this hour-long course, you learn how to create a developmentally appropriate environment that engages students in learning and lessens instances of misbehavior because students are actively interested in the task at hand. This also covers other aspects of creating an appropriate learning environment, such as how to arrange the furniture, which materials you need, and other tips for creating a classroom that enhances learning. The course, “The Basics of Appropriate Learning Environments” provides a framework that you can use as a jumping off point for creating your classroom. If you want to continue to instill a lifelong love of learning in your students, the CDA course titled “Learning Centers that Inspire” will provide insight and understanding on how to create an inspiring learning environment. The right colors, lighting, displays, and interactive elements can help turn a classroom into a space that truly engages children, and you learn about those elements and more in this hour-long course. After the completion of this course, you will know how to create a classroom that fosters critical thinking skills, while also boosting creativity levels. You will also be able to identify appropriate spaces for different types of exploration and how to create meaningful experiences in these areas. Outside time is essential for children’s growth, development, and learning. For example, time in nature is directly related to an increased attention span and feelings of calm. The CDA course titled “Designing an Outdoor Classroom” will show you how to create an engaging outdoor play area for your students. The right outdoor space promotes childhood development, critical thinking skills, as well as social development and problem-solving abilities in a safe, supervised, and active setting. In addition to inspiring students, teachers also must be aware of how to handle classroom behavior that might disrupt the learning process. The classroom environment can be a huge factor in either support or hindrance of the positive behavior desired. The right environment can help students and teachers to deal with behavioral issues or other types of challenges. For instance, if there are the students who have sensory processing disorders, you might need to create a learning environment that has as few distractions as possible. The CDA course titled “Environments that Support Children with Challenging Behaviors” provides a toolbox of strategies for supporting children with challenging behaviors through making changes to the classroom environment. Finally, as a teacher, you likely have goals and expectations for your students. These expectations are both to help your students enjoy their learning experience and to create a well-run learning environment for all the students in the classroom. 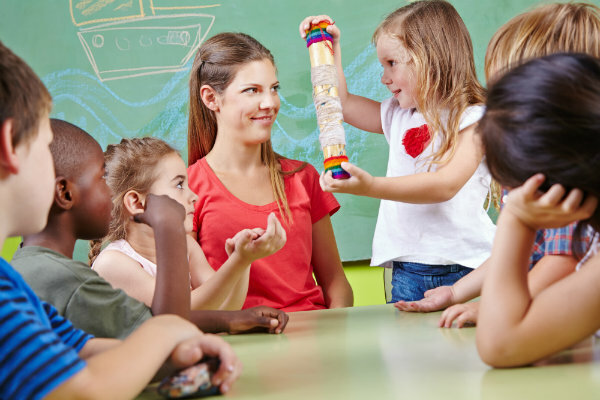 In this hour-long CDA course you will learn how to set and implement developmentally appropriate classroom expectations, as well as how to communicate those expectations to the children. If you are ready to sign up for CDA courses, contact ProSolutions Training today. We offer online courses for teachers who are trying to either earn or renew their CDA credential. To learn more about our offerings, explore our online catalog or contact us directly for more information today.